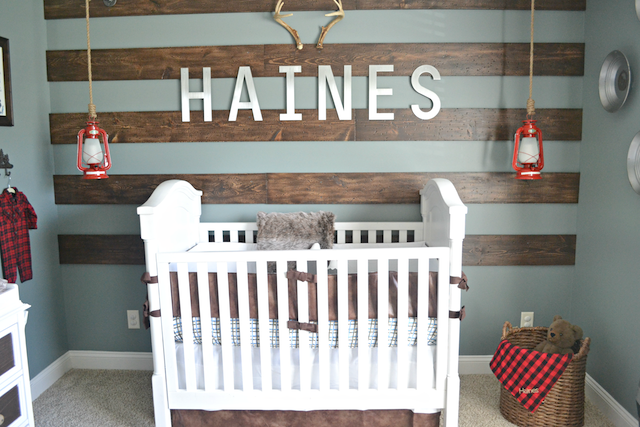 Hello Fawn Friends!! 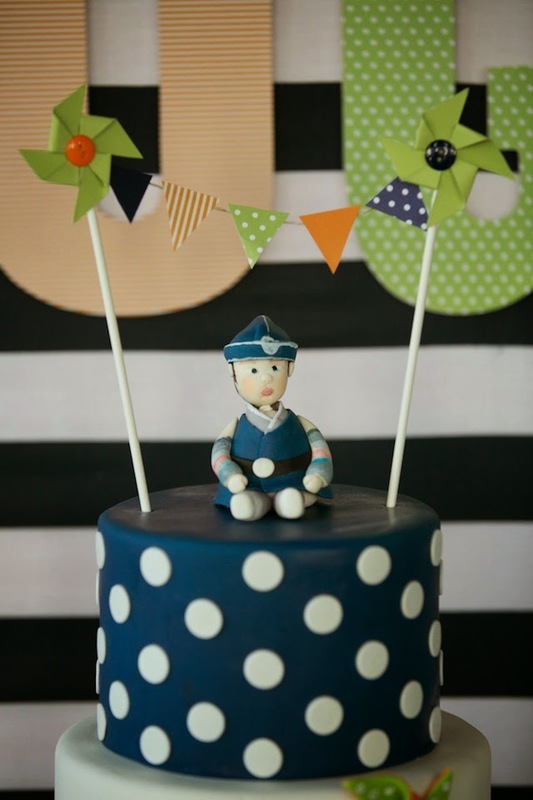 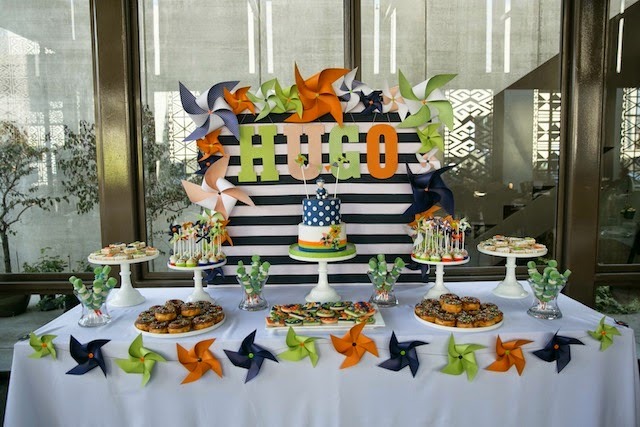 I am so excited to share this adorable 1st Birthday Party submitted by the talented Tanori Photo! 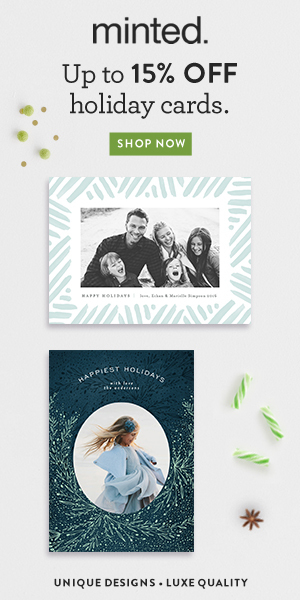 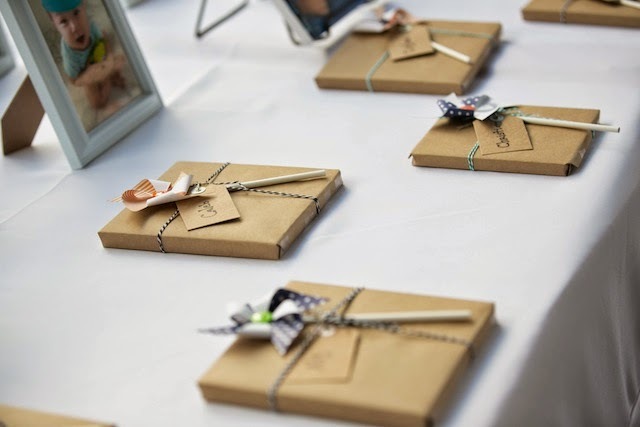 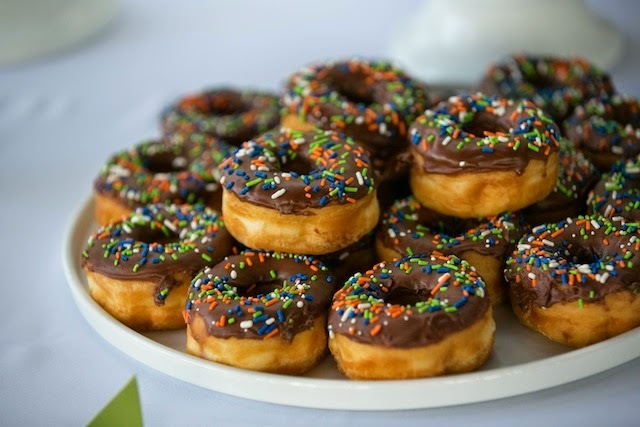 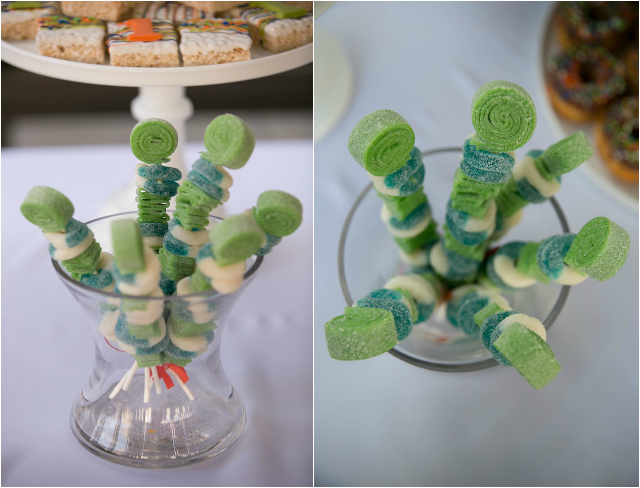 In need of a fun unique theme for your upcoming spring soiree? 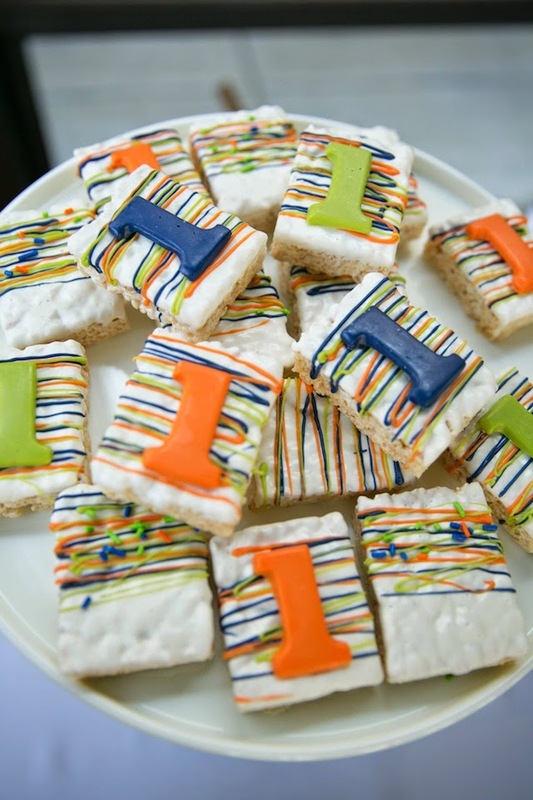 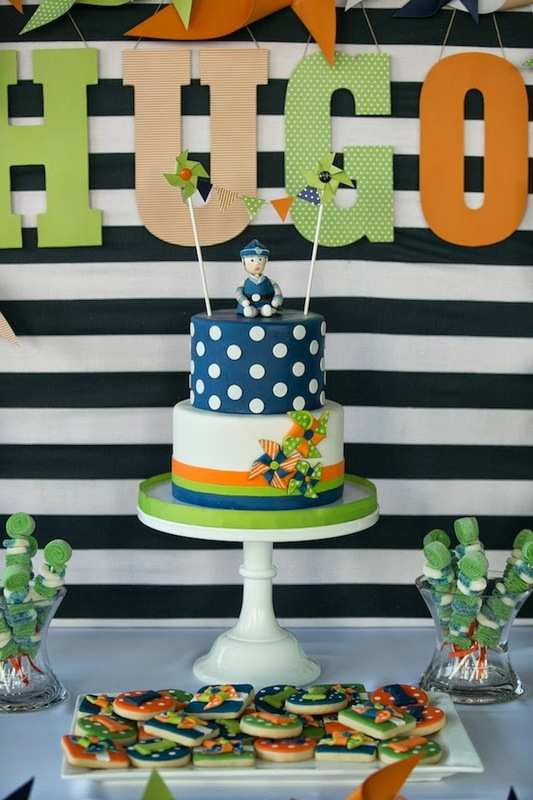 Well this sweet celebration is certainly one to put in your "inspiration" file! 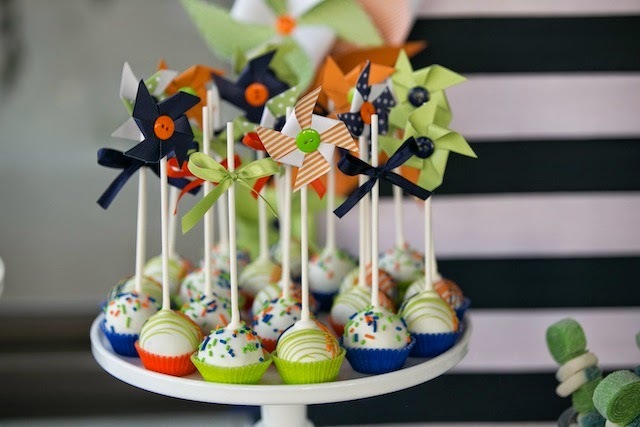 Nothing says spring like a beautiful display of pinwheels in lively vibrant colors. 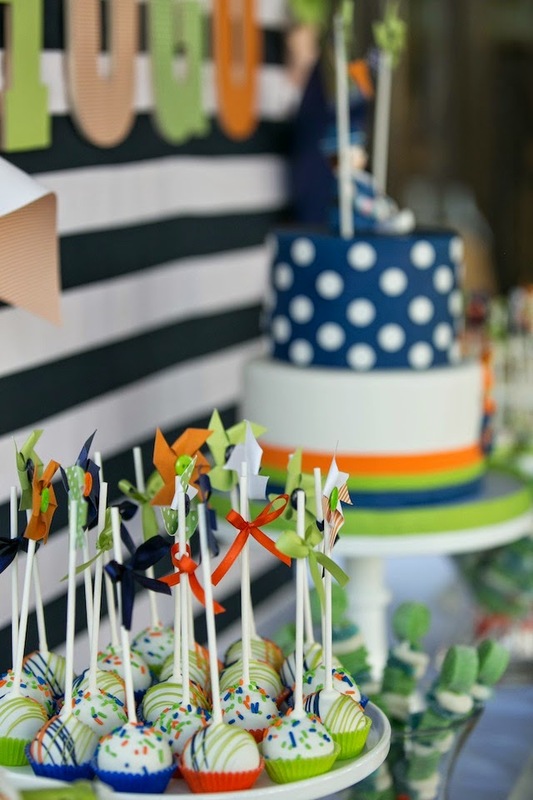 This beautiful and talented mama created a bright and beautiful party design with the fanciful freshness of spring in mind! 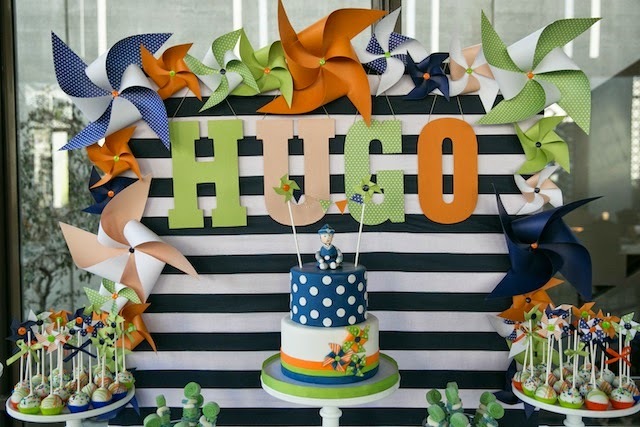 From the collection of pinwheels collaged together as the backdrop to the matching pinwheel bunting displayed in coordinating colors of orange, peach, blue and green. 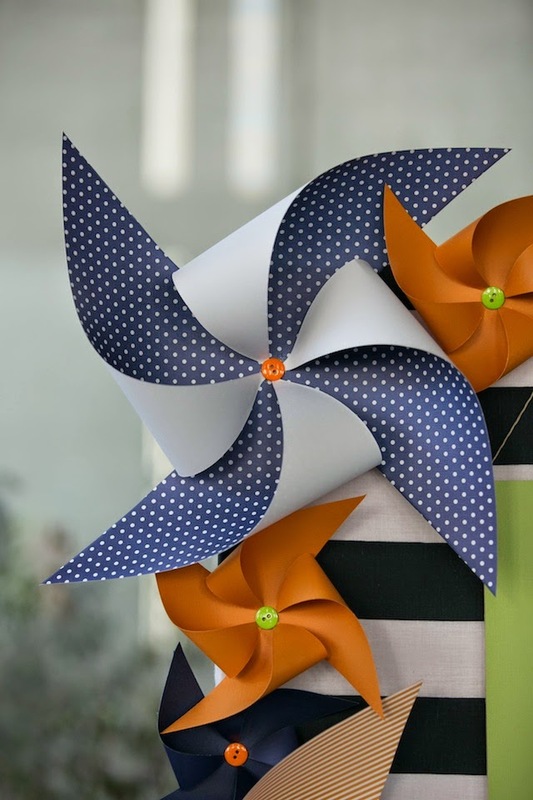 This adorable design brings on feelings of spring and summer in a sophisticated yet whimsical and playful way! 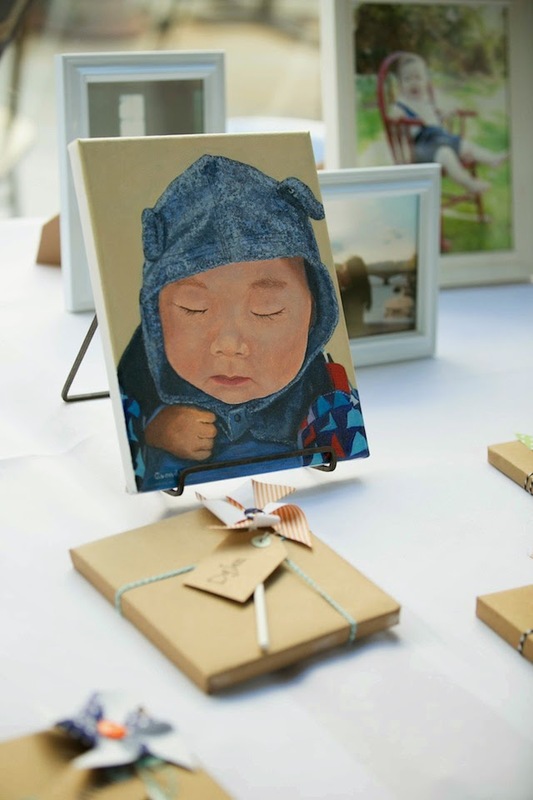 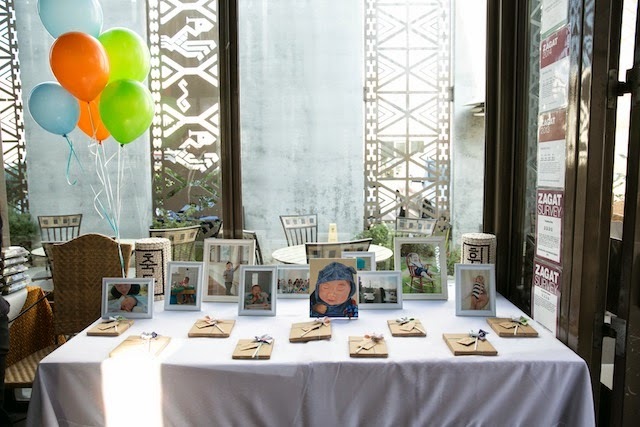 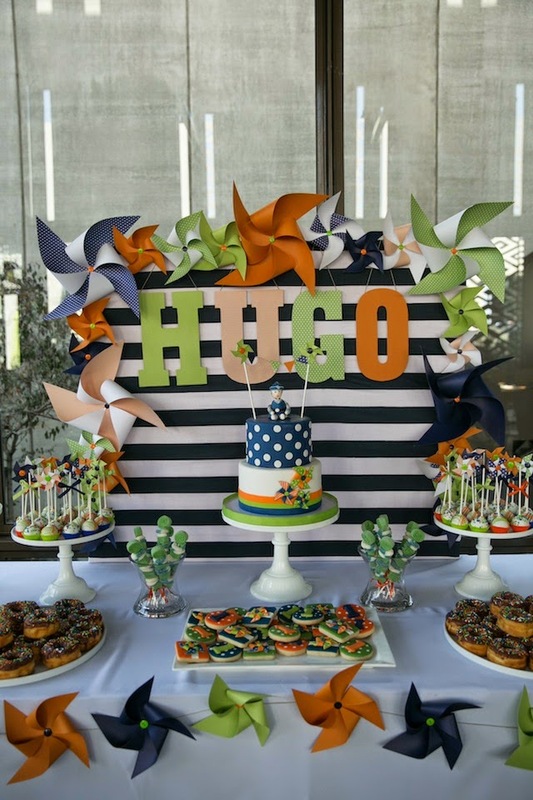 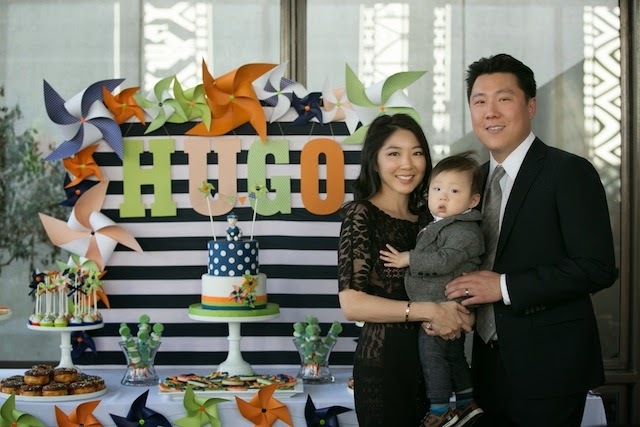 Amazing photographer Abby Tanori does it more than justice by capturing every complimentary detail to perfection as well as the special moments among family and friends that came together to commemorate baby Hugo's big one year milestone! 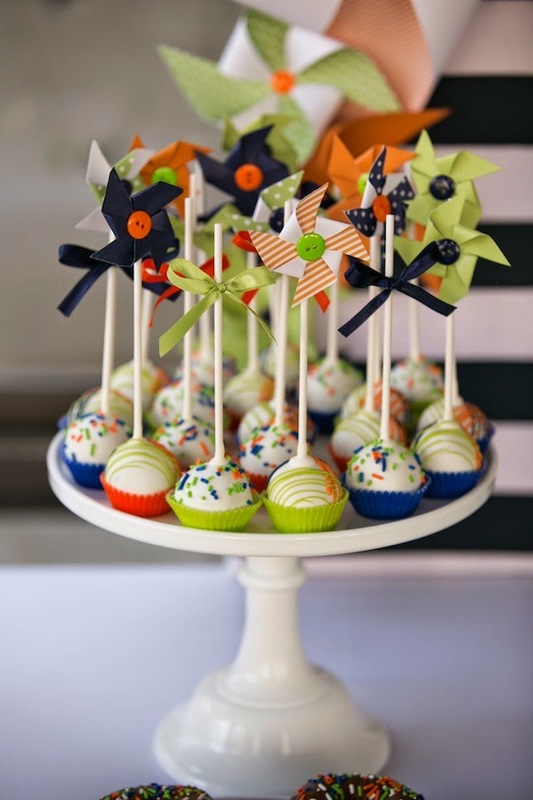 Get ready to swoon on into spring, as this charming celebration will "blow" you away!